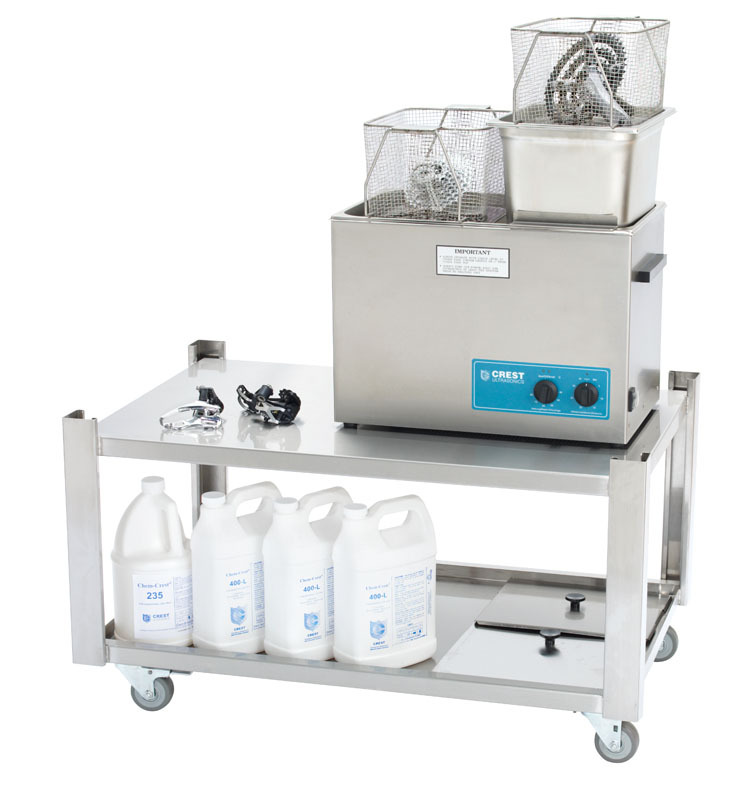 HEAVY DUTY Tanks with Constant Power Output internal generator, Sweep Frequency technology, ceramic enhanced transducers, carries handles, removable power cord, lifetime heater warranty, new heavy duty baskets with drain position handles. Now you can have all the power, depth, & heat of a commercial system at almost ½ Price with our imported system. 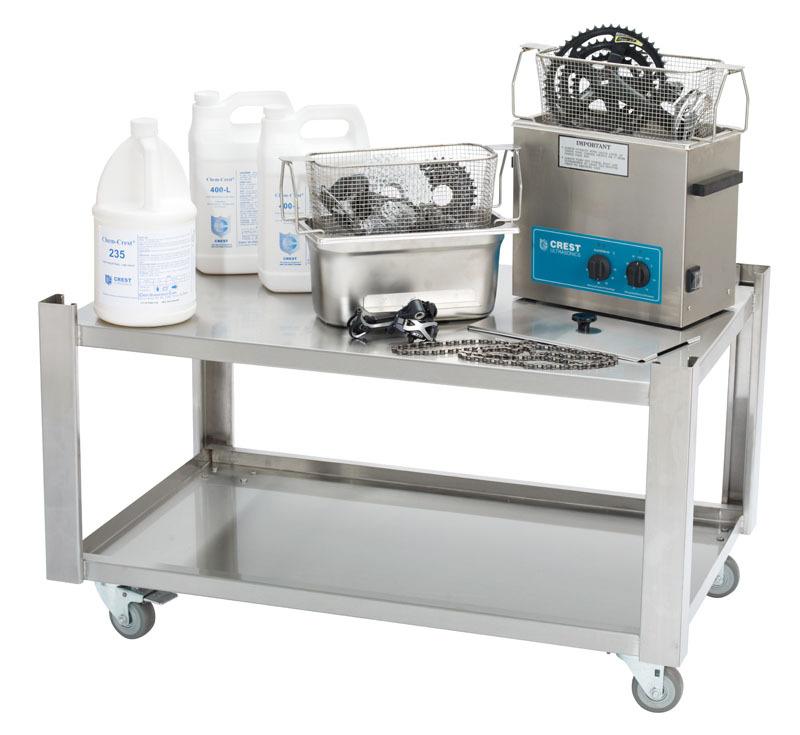 Comes with 2 stainless steel baskets 10.5” X5.5”X5.5” deep, 1 lube pan 11”X6”X6”, 2 covers, stainless steel ball drain valve, and detailed instructions. 1 year warranty. Same size and capacity as the BC500HT. 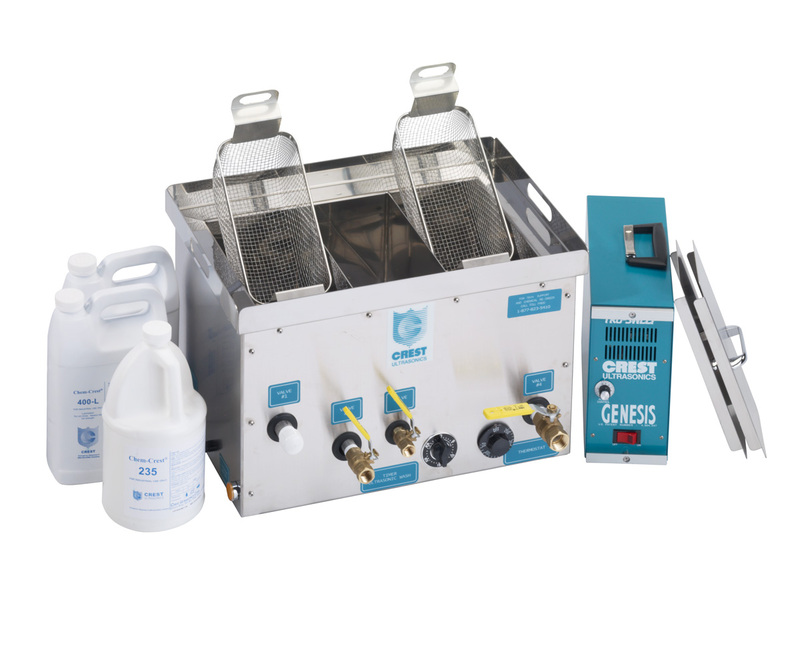 HEAVY DUTY TABLE TOP with constant power, Sweep Frequency internal generator, ceramic enhanced transducers, carry handles, removable power cord, life time heater warranty, new drain position handles. Heated Tank 6” deep, Lube pan and tank covers (Lube pan- 11.5” X 9.5” X 6”), 2 mesh baskets with drain position handles-11” X 9”, 1 gal. CC235 clean concentrate and 2 gal. CC400L lubricant. 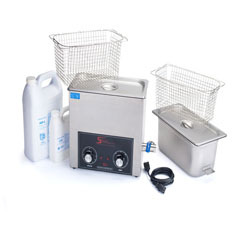 Heated Tank 8 ” deep, Lube pan and tank covers (Lube pan- 11.5” X 9.5” X 8 ”), 2 mesh baskets with drain position handles-11” X 9”, 1 gal. CC235 clean concentrate and 3 gal. CC400L lubricant. 3 chambers: Clean-Drip-Lube. 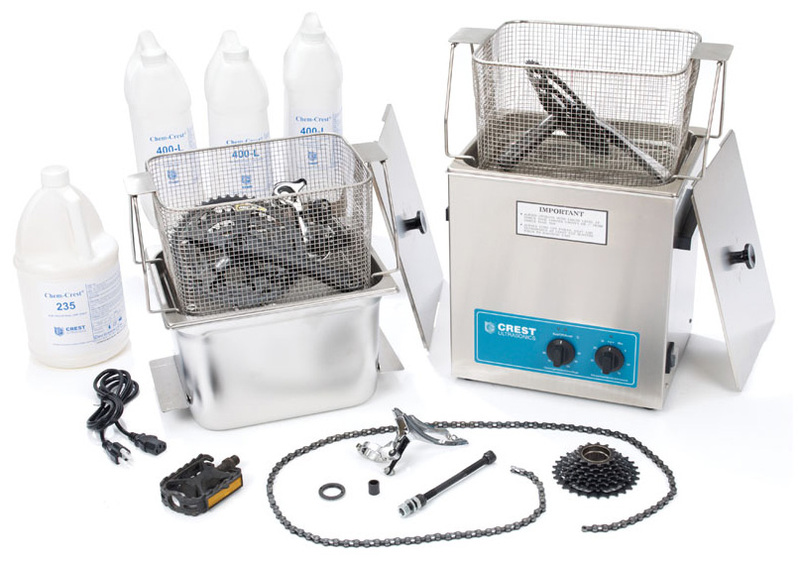 Heated chambers- 11.5” X 6.5” X 7” 2 Chamber covers, 2 Mesh baskets ( 11” X 5.5”), V ariable power sweep frequency generator, Drip-proof flange with built-in carry handles, Adjustable heat settings and timer. 1 gal. CC235 clean concentrate and 2 gal. CC400L lubricant.